To hear about community projects, exhibitions, offers and other gallery hub news. We love that you're passionate about the arts too. The Upstairs Gallery is a community centred space that supports and promotes emerging artists - young and old. We see ourselves as a hub of INSPIRATION. Of creativity. And of Whanau. A place for emerging artists to socialise and showcase artwork of all mediums and offer an opportunity for everyone to connect with art. We’re making art accessible to all. Set in Titirangi’s iconic Lopdell House, there's nowhere else we’d rather be than the foothills of the beautiful Waitakere Ranges. We're making art accessible to all. There's around 12 exhibitions per year with a mix of solo and group shows. 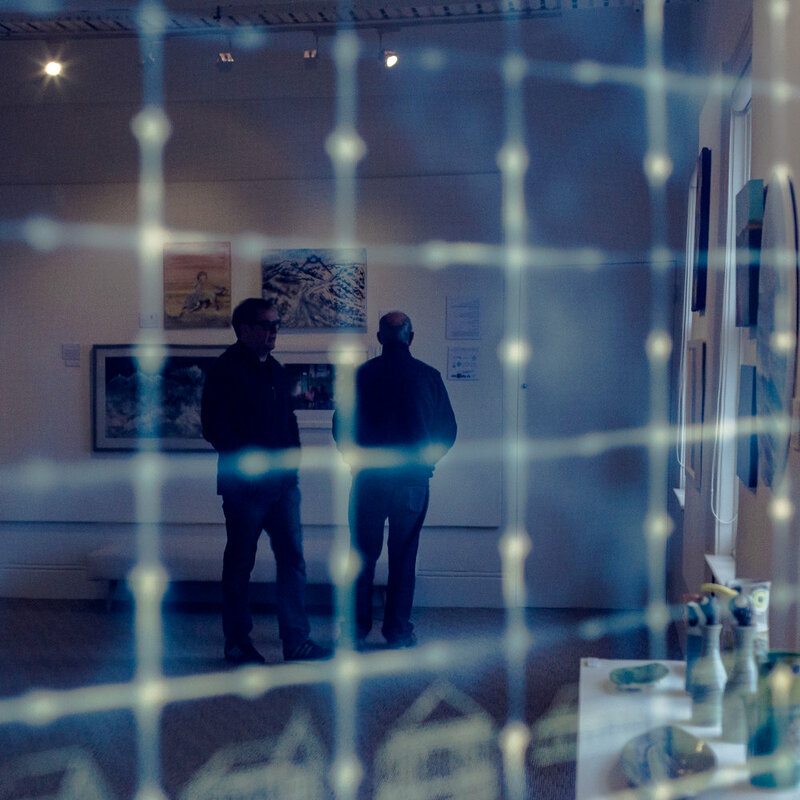 We also host a number of events and community competitions to raise awareness of the gallery and promote arts within West Auckland and the wider Auckland region. 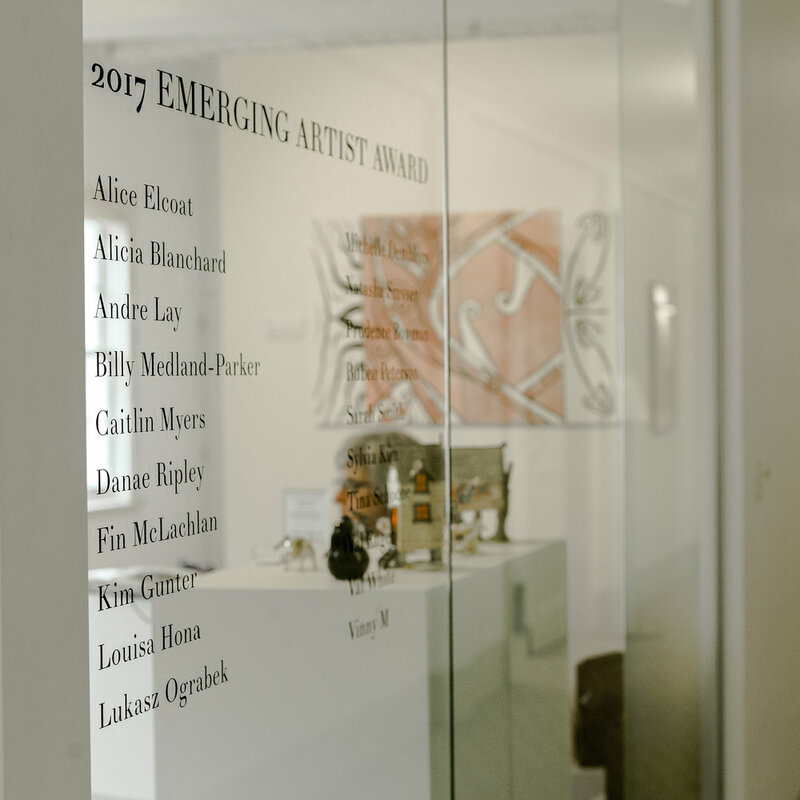 Our annual Emerging Artist Awards are held in August and the popular ‘cash and carry’ Christmas show always attracts a lot of interest! 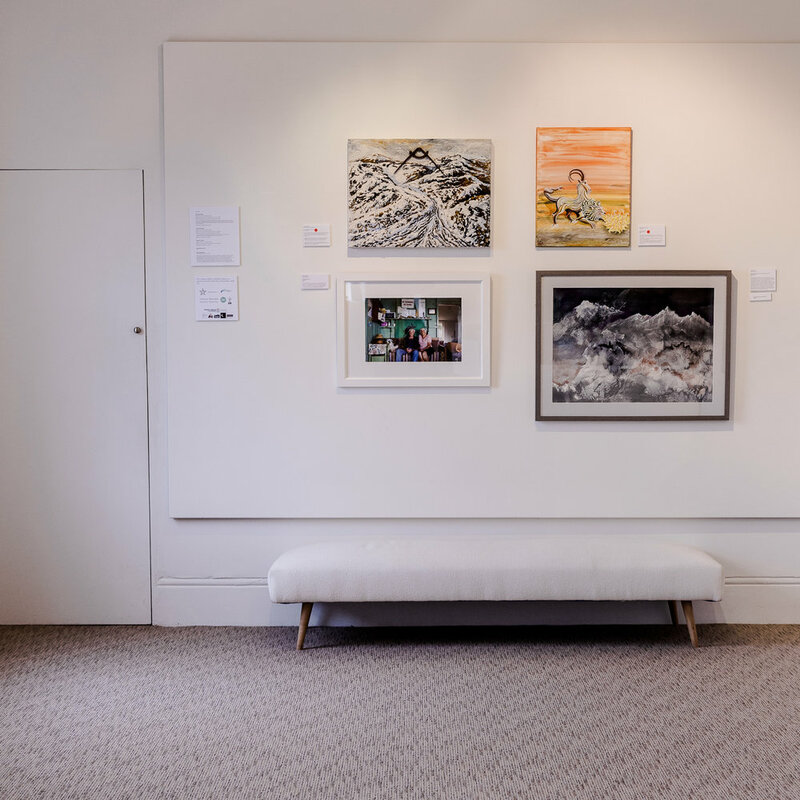 We rely hugely on our wonderful sponsors, the support of our community volunteers and our paid gallery members being a not-for-profit community art gallery. We're governed by the Titirangi Community Arts Council (TCAC) and partly funded by the Auckland Council. If you haven't heard of them, TCAC was established in 1978 by the Arts Guild and they drove the acquisition of Lopdell House as an art's centre as well as establishing the Lopdell House Society. We think that's a pretty important part of our local art history and its super cool that we can continue to support community art projects. A hub of INSPIRATION. Of Creativity. And of Whanau. We love what we do so much, you'll find us here from 10am - 4pm, every day of the week! By day Gallery Manager + Curator - Sammy teamed with Gallery Co-ordinator - Carlos, are joined by a fantastic tribe of volunteers. By night, they are self confessed, art addicts. Sammy is local to the gallery, has a young family and paints with both brushes and light. Carlos is well connected in the Auckland art scene, an art connoisseur and wordsmith. take a tour through the upstairs gallery.